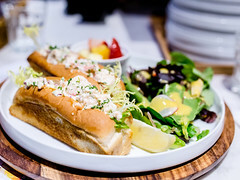 Tendou Matcha and Dessert is a relatively new cafe in Markham that has quickly gained popularity for their premium matcha soft serve ice cream and drinks. 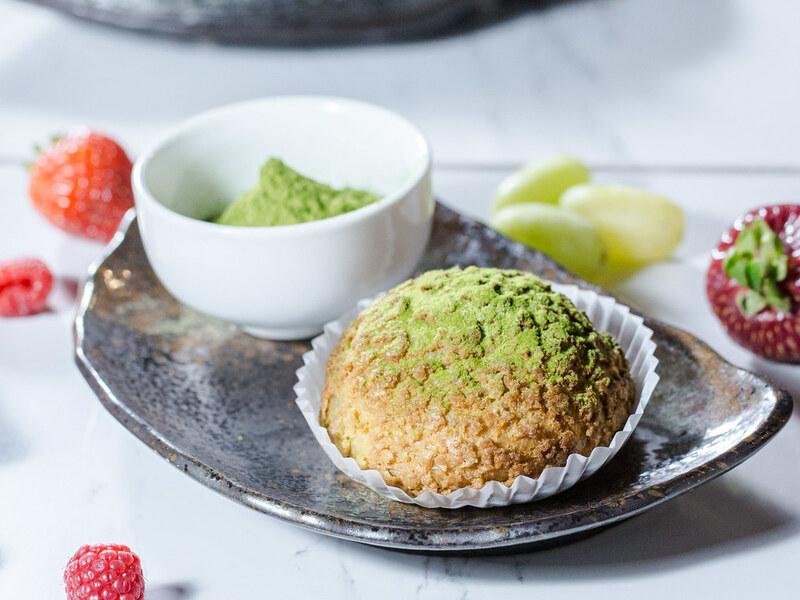 Using high quality matcha powder imported directed from Japan, Tendou’s desserts have a strong natural flavour and mild sweetness, letting the matcha shine. Although I crave ice cream year round, not everyone feels the same. 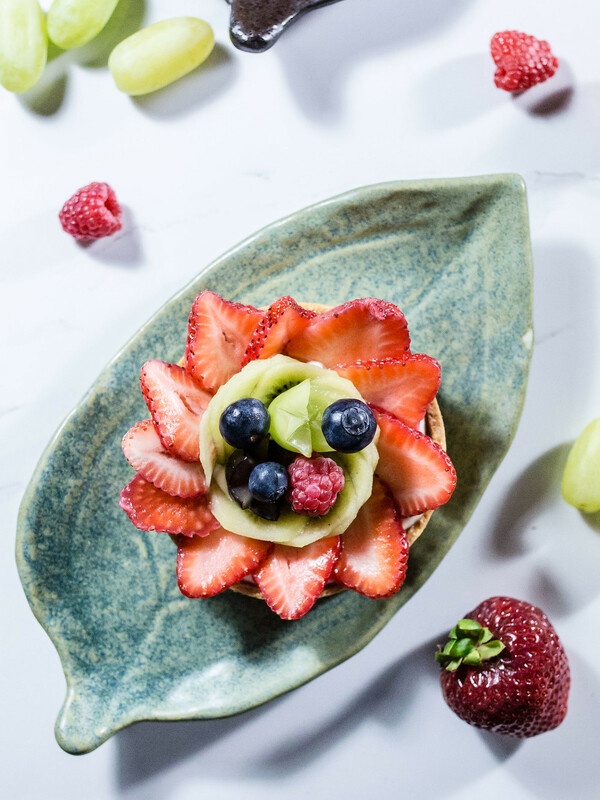 As temperatures outside cool, Tendou’s menu has expanded to unveil a host of new desserts that feature more Japanese flavours, which will surely keep them busy through the fall and winter season. 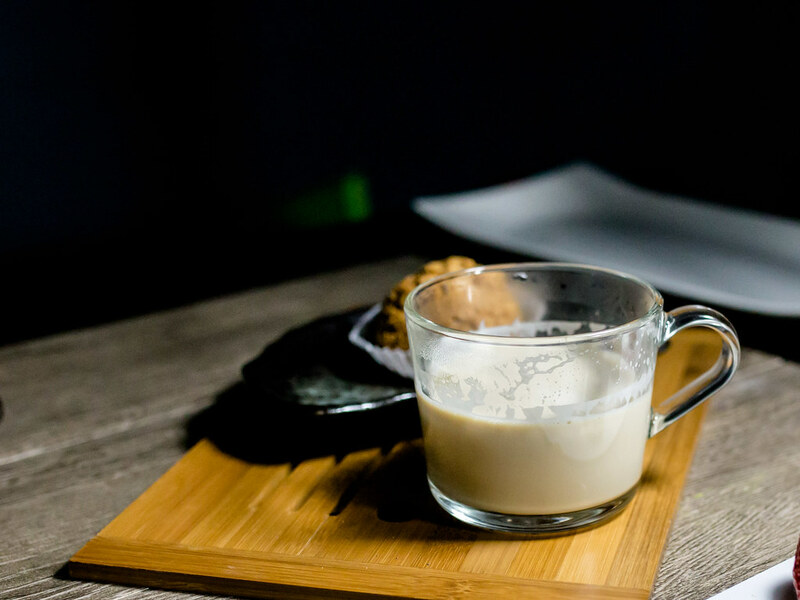 At the media preview for Tendou’s Fall Menu I had the chance to chat with Rylen, the owner of Tendou, and learn about the different grades of matcha powder. Similar to coffee beans, based on the origin and grade (from food to ceremonial), cost and taste of matcha varies greatly. Tendou only uses matcha sourced from the south of Japan, which was vibrantly green in colour. 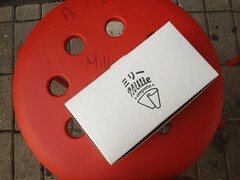 I tasted 4 matcha desserts that night, the mille crepe, cream puff, fruit tart and opera cake. Everything about the cream puff was perfect. Filled with an airy matcha flavoured cream, the cream puff was flakey with a cookie crisp topping that created a very satisfying contrast in textures. All three of the cream puffs we tried that night were phenomenal. 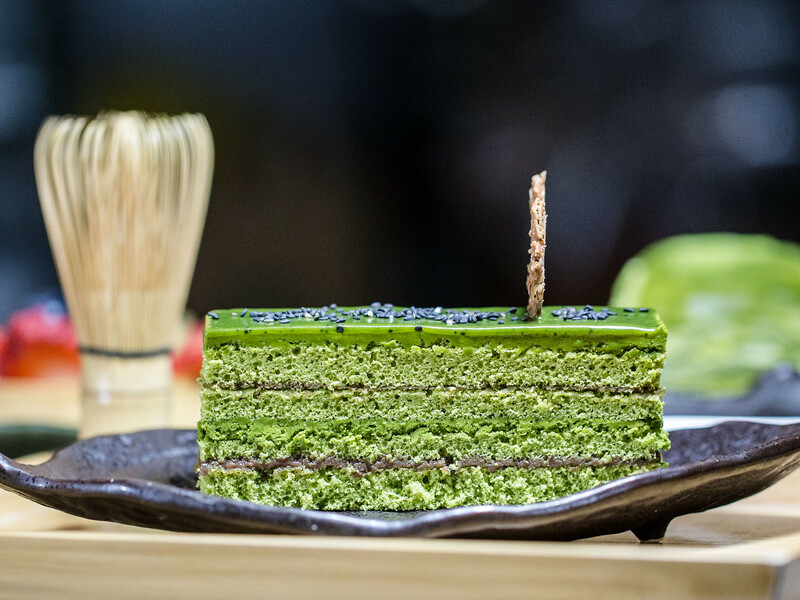 The opera cake had layers of matcha sponge cake that was fluffy and lightly sweet. 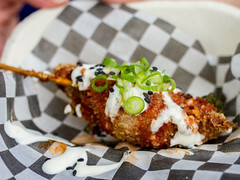 Rylen’s goal was to bring out the natural flavour of the ingredients without overpowering them with sugar, a goal I think he was successful in. When it came to the mille crepe, I enjoyed the flavours of the matcha, which was consistent throughout the evening, however the ratio of cream to crepe leaned too much towards cream for me. 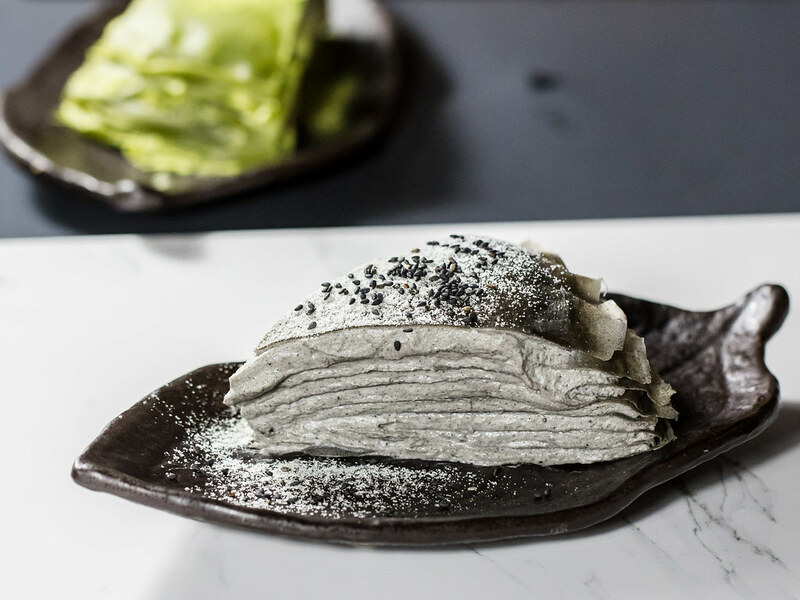 The two black sesame desserts featured were the mille crepe and cream puff. 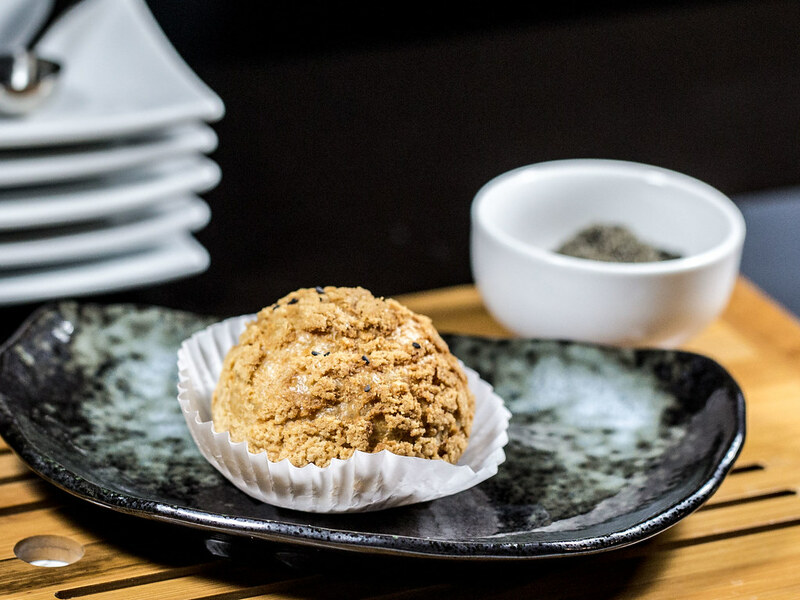 Similar to the matcha flavoured desserts, the black sesame cream puff was delicious. 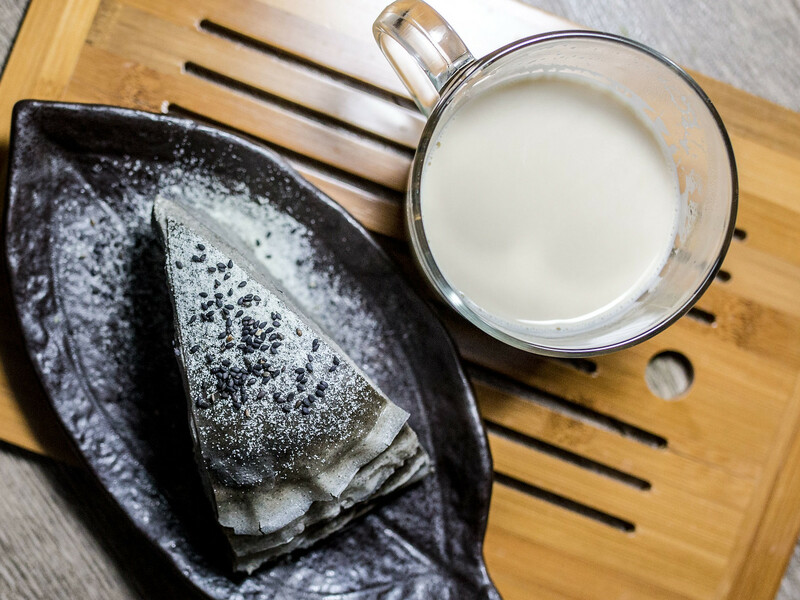 The cream of both items had such a strong black sesame flavour that it tasted almost nutty. We also tried a Hokkaido Milk cream puff and Hokkaido Milk fruit tart. This was my first time tasting Hokkaido milk, which has 3.6% fat content, and the flavour was incredibly rich and milky. 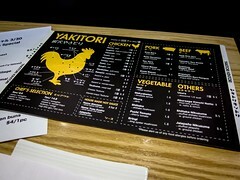 I would love to see this Japanese flavour be the next trend in Toronto. 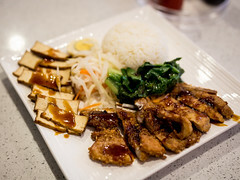 Apart from the three main flavours, we also tried Tendou’s Tofu Cheesecake and The Hubby promptly fell in love. 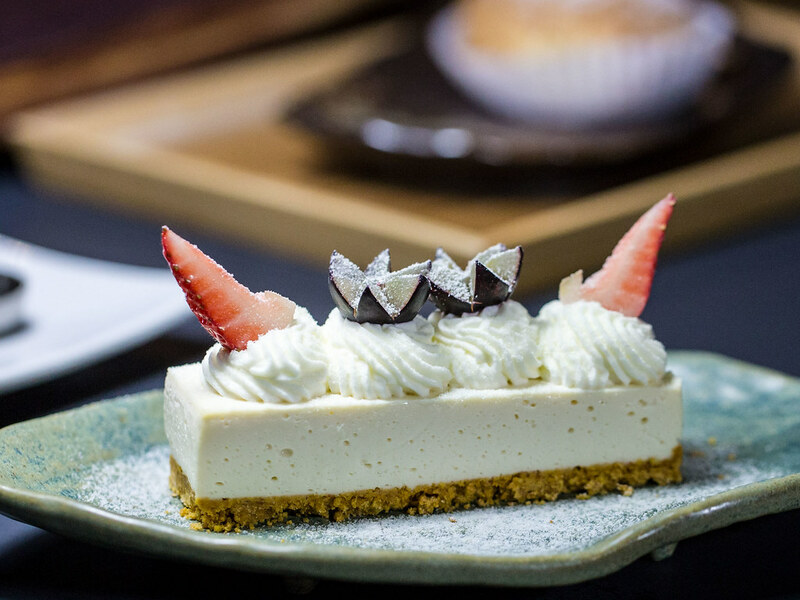 The cake had a mild cheese strong tofu flavour, reminiscent of tofu flower dessert. In fact, The Hubby liked the cake so much, he requested a full size cake for his birthday this year. I was lucky Rylen was able to fill my order.